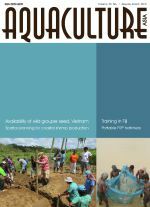 Culture-based fisheries (CBF) are practices to enhance fish stocks in waters that don't have enough natural recruitment to sustain a fishery. CBF practices are usually applied in small water bodies such as village dams and irrigation reservoirs. Fish growth is driven by the natural productivity of the waters. Usually there is no feeding and the fish are left to forage on natural food supplies. 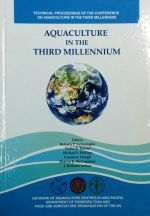 Ownership and management of the stock distinguish CBF as form of extensive aquaculture. 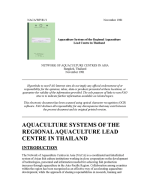 Information related to hatchery management, larval rearing and seed production in aquaculture. 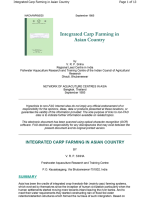 Information relating to aquaculture of freshwater finfish.